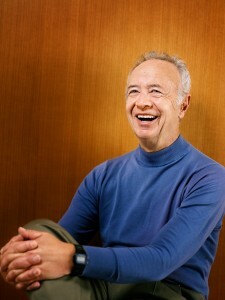 Andrew Grove died a few days ago. I remember reading is “Only The Paranoid Survive”. I remember that he had an amazing life, at least his first years from his native Hungary until he reached New York. I also remember he wrote in 1010 an analysis about start-ups which is very profound. So I will quote him again. It’s our own misplaced faith in the power of startups to create U.S. jobs. Americans love the idea of the guys in the garage inventing something that changes the world. New York Times columnist Thomas L. Friedman recently encapsulated this view in a piece called Start-Ups, Not Bailouts. His argument: Let tired old companies that do commodity manufacturing die if they have to. If Washington really wants to create jobs, he wrote, it should back startups. Friedman is wrong. Startups are a wonderful thing, but they cannot by themselves increase tech employment. Equally important is what comes after that mythical moment of creation in the garage, as technology goes from prototype to mass production. This is the phase where companies scale up. They work out design details, figure out how to make things affordably, build factories, and hire people by the thousands. Scaling is hard work but necessary to make innovation matter. The scaling process is no longer happening in the U.S. And as long as that’s the case, plowing capital into young companies that build their factories elsewhere will continue to yield a bad return in terms of American jobs. Scaling used to work well in Silicon Valley. Entrepreneurs came up with an invention. Investors gave them money to build their business. If the founders and their investors were lucky, the company grew and had an initial public offering, which brought in money that financed further growth. I am fortunate to have lived through one such example. In 1968, two well-known technologists and their investor friends anted up $3 million to start Intel Corp., making memory chips for the computer industry. From the beginning, we had to figure out how to make our chips in volume. We had to build factories; hire, train and retain employees; establish relationships with suppliers; and sort out a million other things before Intel could become a billion-dollar company. Three years later, it went public and grew to be one of the biggest technology companies in the world. By 1980, which was 10 years after our IPO, about 13,000 people worked for Intel in the U.S. Not far from Intel’s headquarters in Santa Clara, California, other companies developed. Tandem Computers Inc. went through a similar process, then Sun Microsystems Inc., Cisco Systems Inc., Netscape Communications Corp., and on and on. Some companies died along the way or were absorbed by others, but each survivor added to the complex technological ecosystem that came to be called Silicon Valley. As time passed, wages and health-care costs rose in the U.S., and China opened up. American companies discovered they could have their manufacturing and even their engineering done cheaper overseas. When they did so, margins improved. Management was happy, and so were stockholders. Growth continued, even more profitably. But the job machine began sputtering. Today, manufacturing employment in the U.S. computer industry is about 166,000 — lower than it was before the first personal computer, the MITS Altair 2800, was assembled in 1975. Meanwhile, a very effective computer-manufacturing industry has emerged in Asia, employing about 1.5 million workers — factory employees, engineers and managers. The largest of these companies is Hon Hai Precision Industry Co., also known as Foxconn. The company has grown at an astounding rate, first in Taiwan and later in China. Its revenue last year was $62 billion, larger than Apple Inc., Microsoft Corp., Dell Inc. or Intel. Foxconn employs more than 800,000 people, more than the combined worldwide head count of Apple, Dell, Microsoft, Hewlett-Packard Co., Intel and Sony Corp.
A great man has just disappeared. This entry was posted in Innovation on March 26, 2016 by Hervé Lebret.